As you enter our doors, you will be kindly welcomed with a warm greeting and a smile! You may be asked to fill out our “New Patient Intake Form” if you have not already done so from our website. Once the paperwork is complete, you will be given a tour of our office to help you feel at home. It is our goal to offer state-of-the-art wellness care in a relaxing, family-friendly surrounding. Next, you will have a one-on-one consultation with Dr. Nelson, where he will discuss any health goals, concerns, or questions you may have. After all of your questions have been answered, a chiropractic exam will be done. This exam may check several important areas of your health including a posture analysis, blood pressure testing, reflexes, range of motion, and other orthopedic tests. Digital X-rays may be taken if exam results show a need. After the exam, Dr. Nelson will analyze the findings from the consultation and exam to determine if you or your child are a good candidate for chiropractic care. If so, we will develop a personalized care plan that will start on your following visit to help you reach your health goals as quickly as possible. Your first visit to our office typically takes a half hour to an hour, depending on the findings. Patients appreciate that we explain everything in advance! 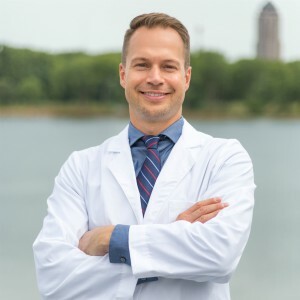 If you have been to see other chiropractors in West Des Moines without results — give our office a call! We’ve helped many families who went from chiropractor to chiropractor and finally found results in our office.